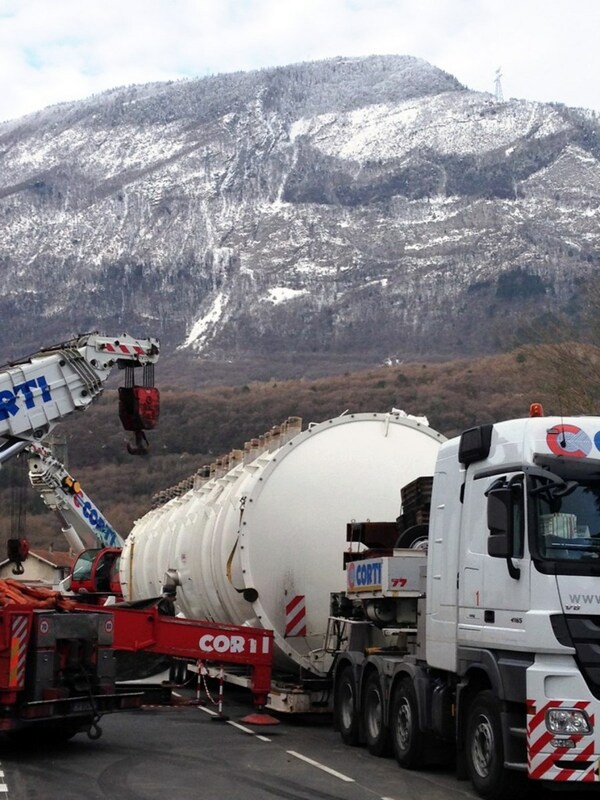 Manufactured by SIMIC in Italy, a large steel cylinder (21 metres long, 4.2 metres in diameter, 70 tonnes) was delivered on Friday 23 January to the Air Liquide advanced Technologies workshop near Grenoble, France. This cylinder forms the shell of one of the three vacuum vessels ("cold boxes") destined for the ITER liquid helium plant. It will house several key components (heat exchangers, cryogenic adsorbers, liquid helium and liquid nitrogen phase separators) involved in the process of cooling helium to the ultra-low temperature of 4.5 K (minus 269° C). All these elements will be integrated into the cold box by Air Liquide beginning this week.